You normally have the right to be paid a minimum wage. Applicable legislation exists in every province and territory as part of employment standards legislation. The rate is the lowest amount per hour employers can pay employees covered by the statutes. By late 2017 the average minimum wage in Canada will be about $11.43 per hour. That compares to $9.25 in 2010, an increase of over 23%. As of early 2017 Nunavut has the highest minimum rate at $13.00/hr. Newfoundland and Labrador is the lowest with $10.50/hr. Under Canada’s Constitution, responsibility for enacting and enforcing labour laws – including the minimum wage – rests individually with the ten provinces and three territories. They’ve been granted this power by federal legislation. Every year each province and territory reviews its existing rate. The political party in charge decides on whether to provide an increase or not. Factors such as inflation, unemployment and developments in other jurisdictions are taken into account. In Alberta the minimum wage will rise by $1.40 to $13.60/hr on October 1, 2017, and a further 1.40 to $15 per hour on October 1, 2018. On September 15, 2017, the rate will rise to at least $11.25 for British Columbia. By April 2017 New Brunswick's rate will increase from $10.65 to $11.00. Same time as Nova Scotia’s whose minimum wage is adjusted annually relative to the Consumer Price Index. Yukon’s as well. Nunavut’s will be raised on the same day. Saskatchewan’s will go up on October 1 relative to the Consumer Price Index and Average Hourly Wage. Millions of Canadian workers are not covered by minimum wage laws. Self-employed workers, independent contractors, students in training programs, supervisory and managerial employees, registered apprentices and salespeople paid exclusively by commission are usually not covered in any province or territory. Most provinces also have their own rules that either exclude some kinds of workers from minimum wage coverage or allow lower minimum rates for some. 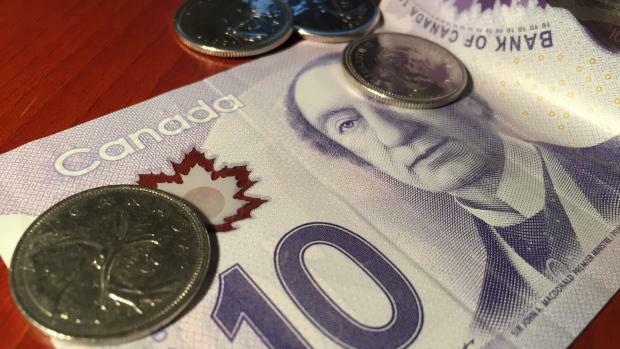 Across Canada overall there were some 1.25 million people earning minimum wage, or about 8 per cent of the country’s 15.3 million salaried employees. Nearly 60 per cent of minimum wage earners are youths aged 15 to 24, and almost as large a share of them lives with family. Women are disproportionately represented in low wage jobs – fully one-third of women earn less than $15 / hr, compared to only 22% of men. In Canada minimum wage rates are becoming controversial. Low-wage and temporary jobs with no benefits increasingly account for a portion of this country’s paid work. To counter the increase in “precarious employment,” most provinces are looking at solutions. One possible idea being floated is a “living wage.” Essentially it would be a minimum wage across Canada set around $15.00 per hour. The effect this would have on hiring and employer profitability is currently being debated. It would, though, provide many workers with more dollars to purchase goods and services.